SEOUL, Oct. 2 (Yonhap) — New Zealand golf star Lydia Ko said Tuesday she wants to make a special memory in her country of birth by winning a major tournament on the South Korean tour. Ko will make her first Korea Ladies Professional Golf Association (KLPGA) tour appearance in South Korea when she tees off at the 19th Hite Jinro Championship this week. 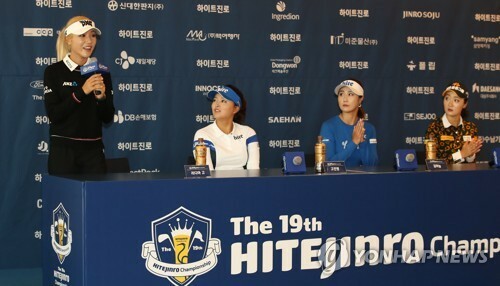 The event, which is one of the five KLPGA major tournaments, will be held at Blue Heron Golf Club in Yeoju, Gyeonggi Province, some 100 kilometers south of Seoul, from Thursday to Sunday.